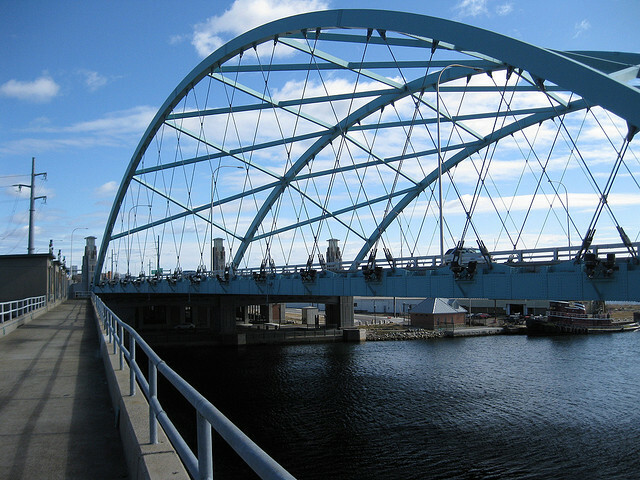 A bill (H 6029) before the General Assembly would rename the Route 195 Iway bridge over the Providence River for late architect William Warner. Warner, who passed last summer, is perhaps best known for the napkin sketch that eventually resulted in the relocation of the rivers and the creation of Waterplace Park. Fittingly, Warner also designed the Iway bridge which would take his name. This act would name the I-195 Providence River Bridge the “William D. Warner Memorial Bridge.” This act would take effect upon passage. All of us who have watched or been a part of the Providence Renaissance know that the person most responsible for designing and seeing through the masterful changes to Providence was Bill Warner. The General Assembly needs to know your enthusiasm for naming the IWAY bridge the William D. Warner Memorial Bridge. Contact your representative and senator. I knew Bill and his oustanding work as an architect and urban designer in and around Providence for many, many years. The naming of the I-Way bridge (which is a daft name anyway) as the “William D. Warner Memorial Bridge” is the VERY LEAST that the people of Rhode Island and its capital city could do to honor the extraordinary changes that Bill’s work wrought for the Providence Renaissance. 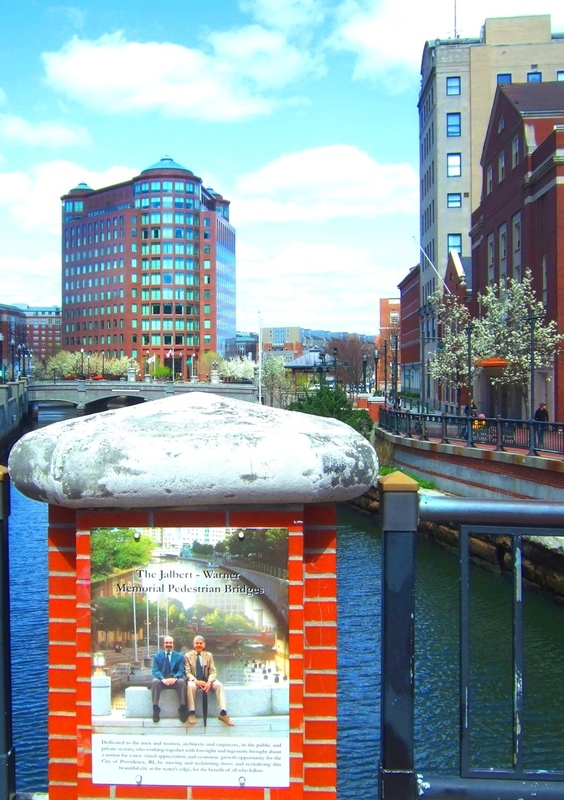 The ingenious, interlaced elements of transportation and urban design in Providence’s “New Downtown” paved the way for so many wonderful physical improvements and public “happenings” like the now-global phenomenon of WarterFire that followed. Ladies and gentlemen, it is time we, as residents of Rhode Island, conferred this honor–the simple naming of a bridge–on a person who quite literally propelled the state’s capital city to new levels of livability and hard-won community pride. I cannot imagine why anyone would not support such an initiative. I join with Arthur Mark’s observations and plea for us to pressure our legislators to act: Let’s get this done! Bill was honored on May 4th at the dedication of the Jalbert-Warner Memorial Pedestrian Bridges which flank College Street. There are two plaques which honor Ronald C. Jalbert (Engineer-Facilitator) and William D. Warner (Architect-Visionary). The plaques also honored the many others who were involved in the project. It reads: Dedicated to the men and women, architects and engineers, in the public and private sectors, who working together with foresight and ingenuity brought about a notion for a new visual appreciation and economic growth opportunity for the City of Providence, RI, by moving and reclaiming rivers and revitalizing this beautiful city at the water’s edge, for the benefit of all who follow.